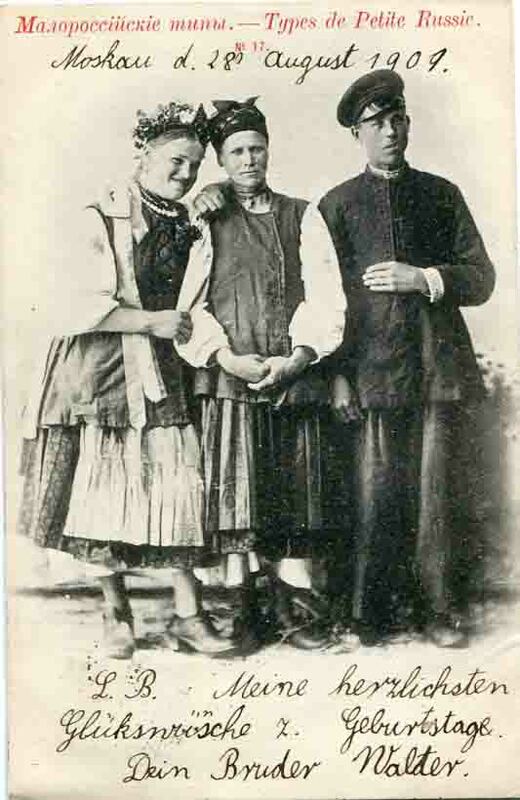 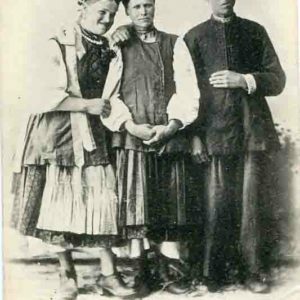 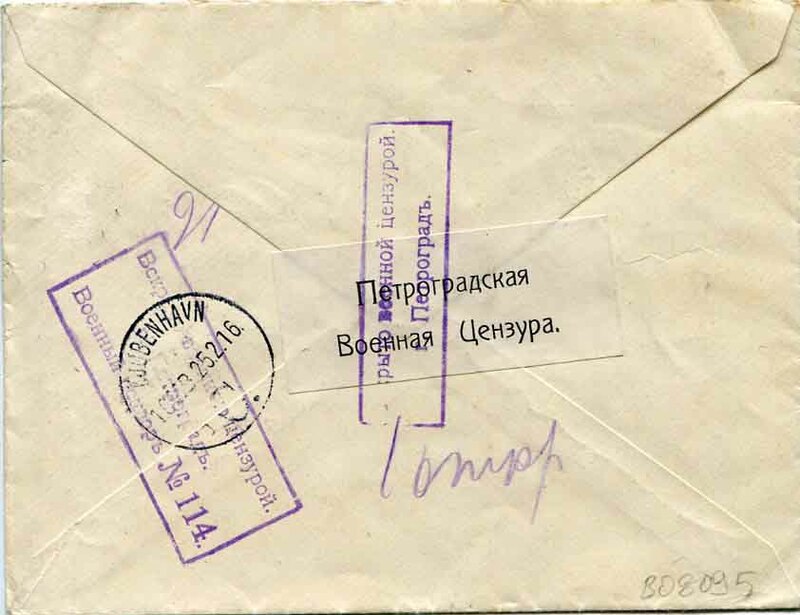 Russia: 1916 (22 January). 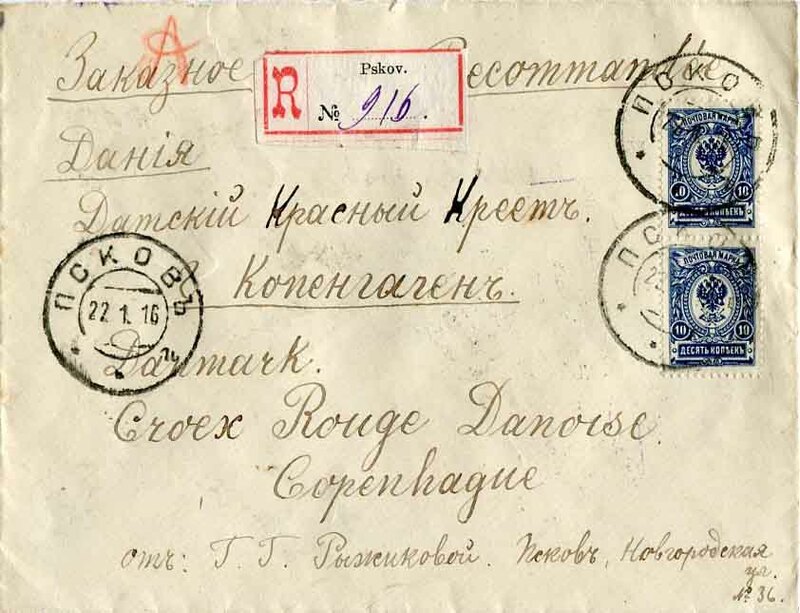 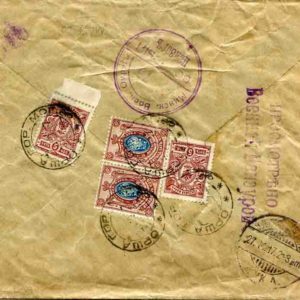 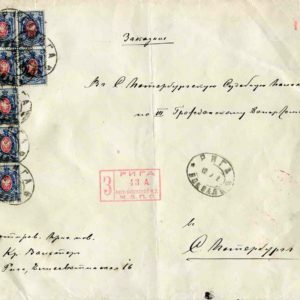 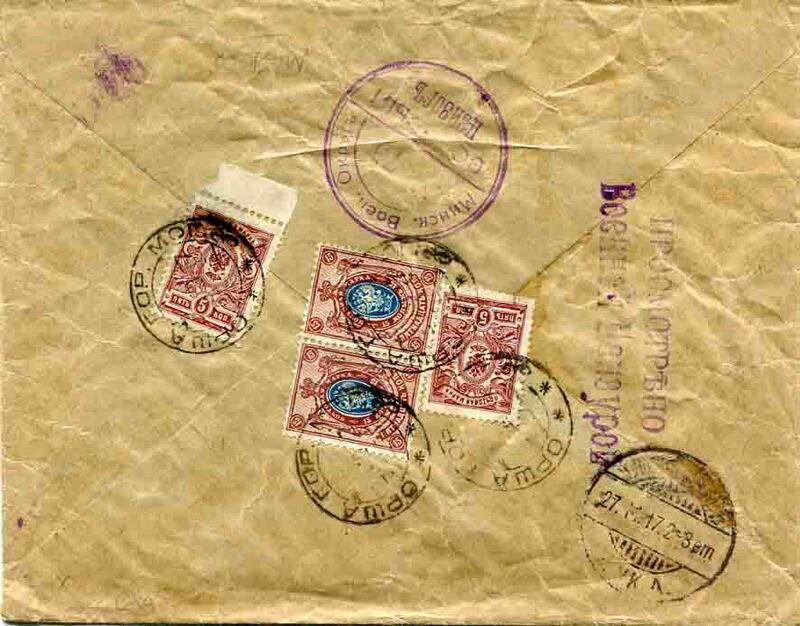 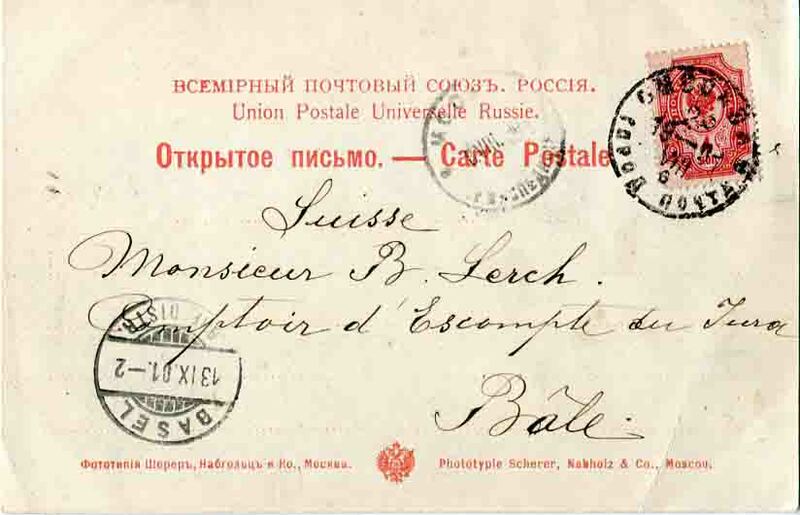 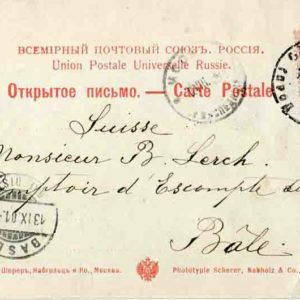 Registered cover to Red Cross at Copenhagen franked with pair of 10k and tied by Pskov datestamps. 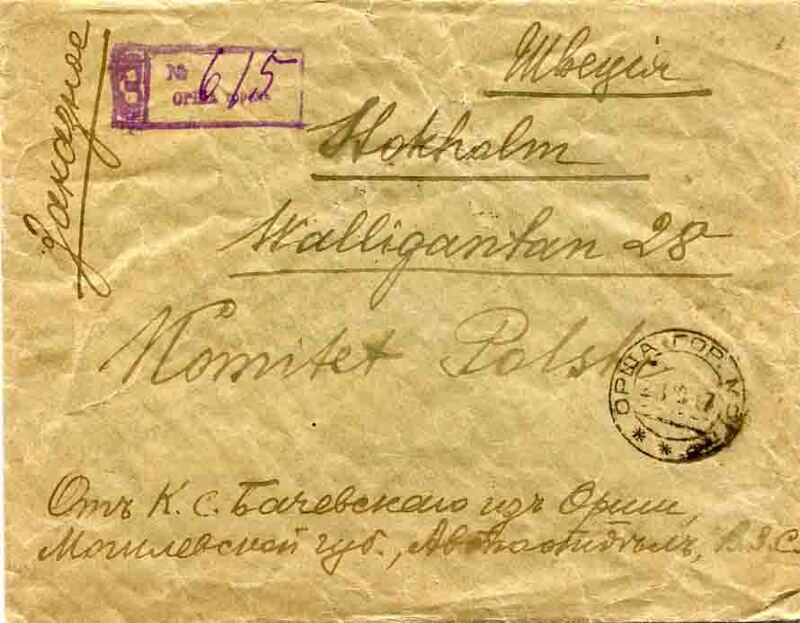 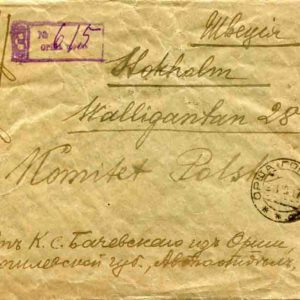 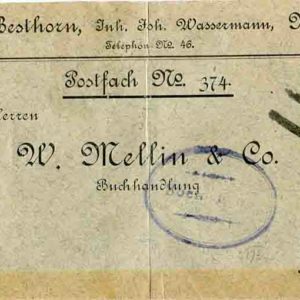 Reverse Petrograd censor cachets and white censor label and 25 February Copenhagen arrival cds.